Talk for Writing at Arcadia – What is it & Why do we do it? “It is impossible to write any text without being familiar with the language, rhythms and patterns that it involves.” Corbett, 2011. The above words of Pie Corbett are illustrative of the reasoning behind why, at Arcadia, we use Talk for Writing as our core approach to teaching literacy. And it is indeed true – that if you cannot verbalise a sentence, then writing it isn’t possible either. Talk for Writing is an approach which follows the notion that ‘the language for success at any writing task must become a part of the children’s linguistic repertoire’ (Corbett, 2011, p1). Therefore, using this approach, our English curriculum structures learning in such a way that children can verbalise, see, read, hear and explore a series of progressive language patterns. So, I am sure you’re now wondering – how does it work? Talk for Writing (T4W) comprises of five stages in total – three of which form the core of the teaching cycle. Prior to this, it is important to first address the ‘cold’ and ‘hot’ tasks – a key assessment tool – which are completed at either end of a T4W unit. 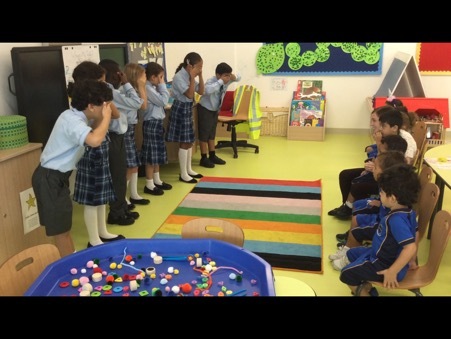 In order to effectively demonstrate the journey a child has embarked upon across a T4W unit, we at first present the children with a ‘cold task’. During this time, the children are required to demonstrate what they already know about a particular text type. For example, if our focus for the unit was diary writing, the children would write using this text type prior to having any teaching input. 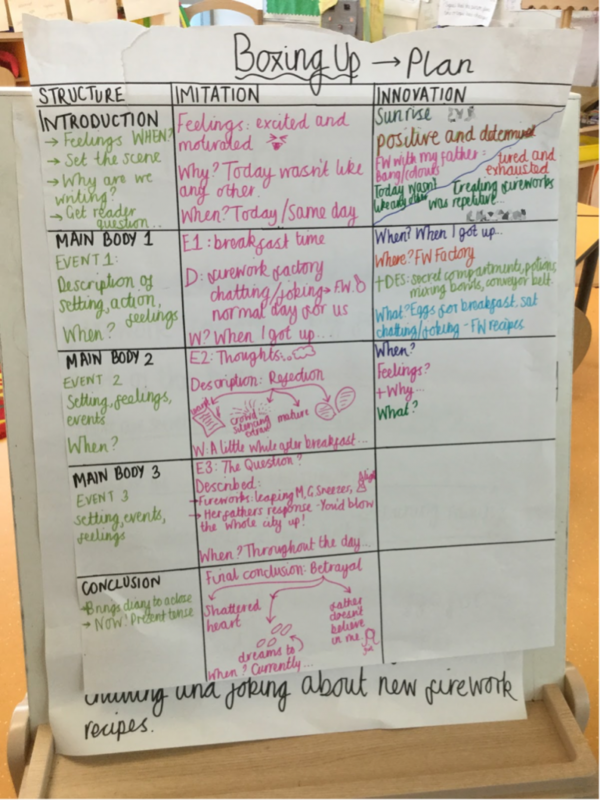 This gives the teachers both a starting point when planning for progression along with an understanding of where the children currently are in their writing ability. 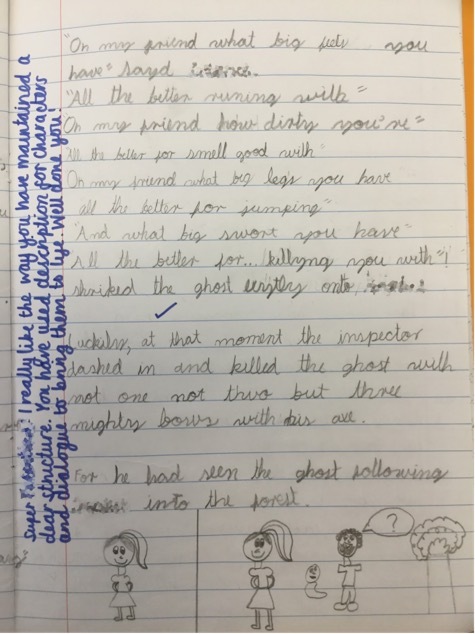 On the opposing end of the unit, where children have had full exposure to key grammar, language and a suitable structure for that text type, the challenge of a ‘hot task’ is given. 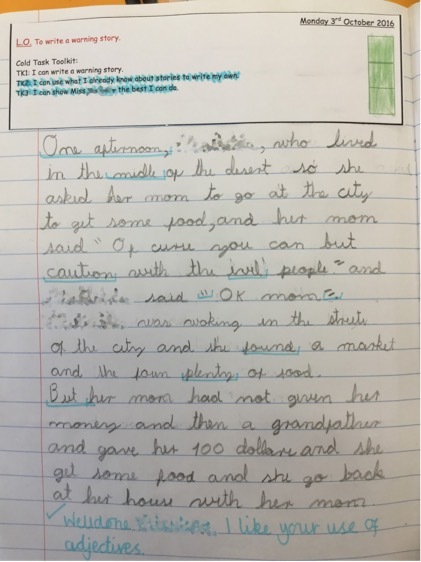 Children are required to write independently, using the taught text type to demonstrate what they have learnt and most importantly, what they can apply without support. The developmental journey from cold to hot is incredibly rewarding for both the teachers and children. Imitation aims to help the children internalise a narrative pattern or non-fiction text type structure. In other words, during this phase, children are taught a piece of text – illustrative of the focus text type – off by heart. 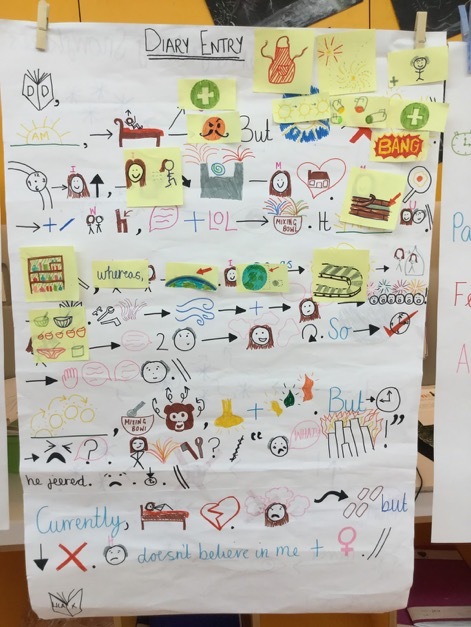 To appeal to all learning types, this stage in the process takes on a number of forms including: a story map with pictures/symbols to represent characters, settings and key description, an oral retelling with actions and a more structured boxing up activity where the text type is split into key structural sections outlining main events/detail. Using a series of enjoyable interactive games, the children are ‘drenched’ in the language patterns, grammar and content required by the particular text type to ensure that it is thoroughly internalised. Once this is achieved, the children are then taught to ‘read as a reader’ comprising of a more in depth analysis of the written text. Due to the nature of T4W, where prior to reading analysis, the text is learnt by heart – reading ability doesn’t necessarily matter and as a result, it acts as a great confidence boost to those who struggle with reading. Prior to ‘innovation’, the second phase, the children are taught to ‘read as a writer’. At this crucial phase, the children begin to understand the key underlying structure required to be able to write their own. 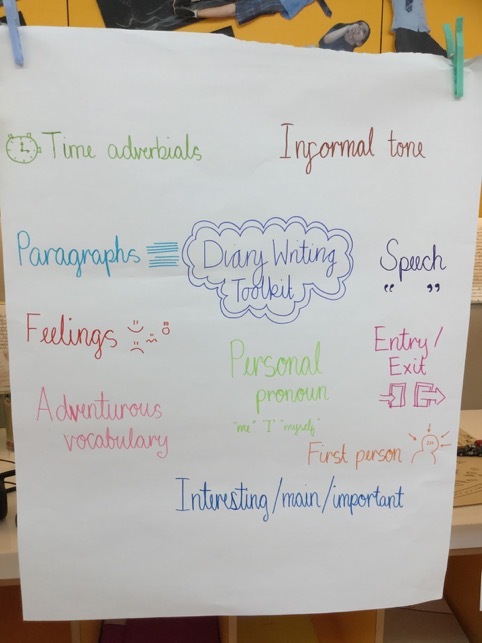 To do this, we ‘box up’ the text, splitting it into its key structural sections and create a ‘writer’s toolkit’ which contains all the ingredients needed to write a good quality version of the focus text type. Once the children are confidently ‘reading as a writer’, they are ready for innovation. Having become familiar with the original text during the ‘imitation’ phase, in the next stage ‘innovation’ then uses the internalised structure as a foundation for creating something new. Ultimately, we aim for the children to show that they now have the necessary tools, including an internalised structure and appropriate language features to create their own version but instead using another topic. This stage of the process ultimately forms the bridge between giving the children the support and guidance they need whilst also encouraging them to be independent. For example, using the original text, an innovation could take the form of substituting the characters to new ones. 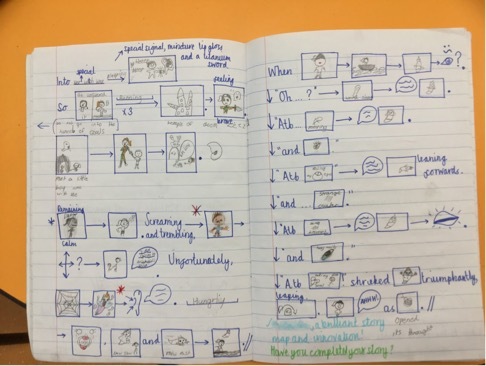 Within this innovation lesson, the teacher would ‘magpie’ (share ideas) a series of possible characters so that the children have a vast array of potential ideas to choose from prior to embarking upon the challenge of writing their own. Learning in this way encourages independence but also provides a safety net for those children who lack confidence in their own ability. In addition to innovating in this way, this phase also provides the children with new knowledge. To ensure continued progress throughout a writing unit along with fulfilling aspects of the curriculum, key grammar and punctuation objectives are taught within the context of T4W. This way, it is embedded within an already immersed structure and is therefore much more meaningful. Finally, whilst coaching the children through an innovated version of the text type, boxing up takes place continuously. This allows the children to keep in mind the desired structure whilst writing their own. During the final ‘invention’ stage of the T4W process, the children are nearing the finish line. It is at this point we pass the baton over to the children as they move towards becoming more independent. During this phase, the children will write independently using the same text type either using a different topic, or using another curriculum area as their focus. Talk for Writing is another aspect of Arcadia’s curriculum that makes us unique. As ‘a proven approach to teaching creative writing that is fun, engaging and motivating’ (Corbett, 2011), we are not only ensuring our children are equipped with the necessary language acquisition to become competent and talented writers, but we are also ensuring that they develop a true love for literacy learning. 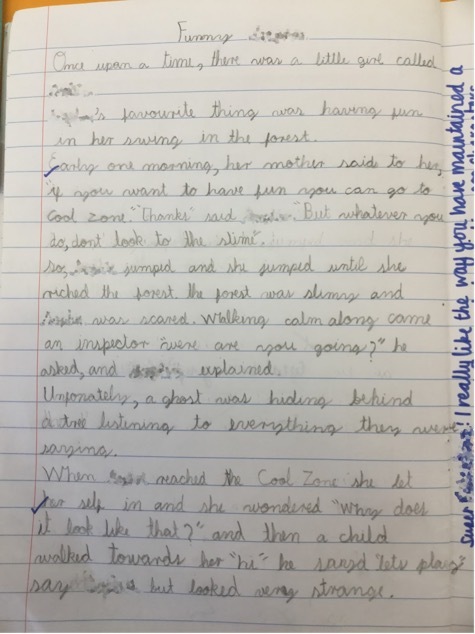 Using Talk for Writing from foundation stage through to key stage 2, our children are exposed to a high quality, consistent and multi-sensory approach which in turn, is shaping some truly talented writers for the future. Corbett, P & Strong, J. (2011) Talk for Writing Across The Curriculum. Open University Press, Berkshire. Are men more innovative than women?